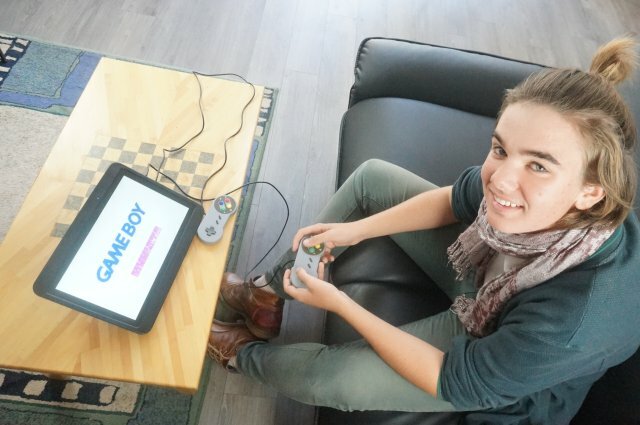 This crowdfunding is now over! Assemble the elements in 2 hours, choose your nano computer and place it in the machine. 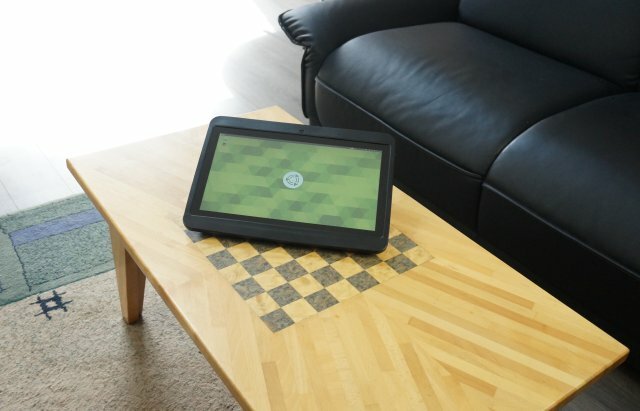 Diskio Pi is the most versatile touch device on the market. 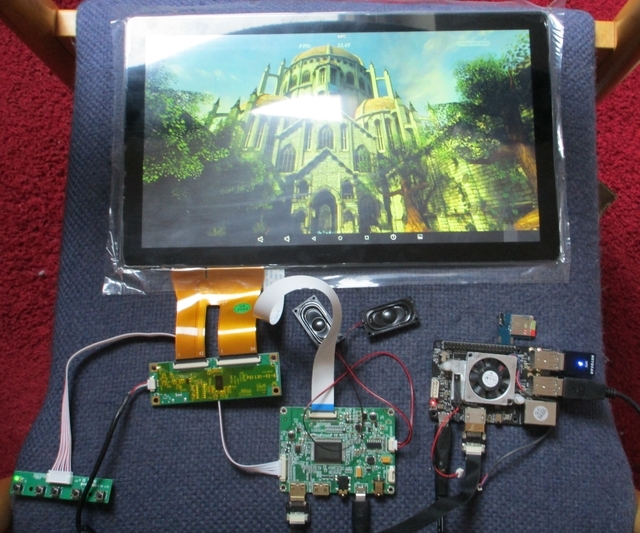 Diskio Pi is a fully repairable hybrid touchscreen kit device (assembly instructions here), whose the hardware can be updated with additional boards. 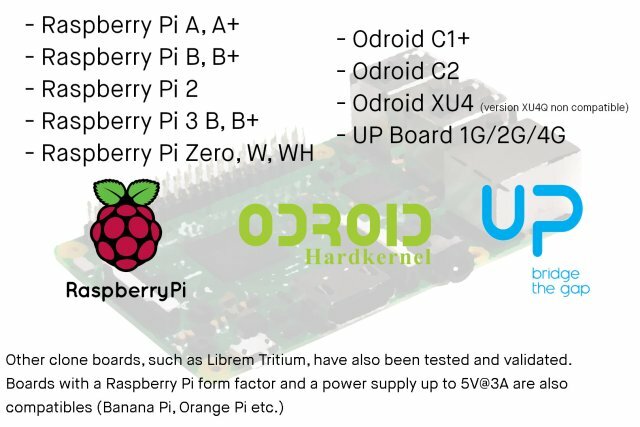 Compatible with development boards such as Raspberry Pi or Odroid, this hardware is open source. 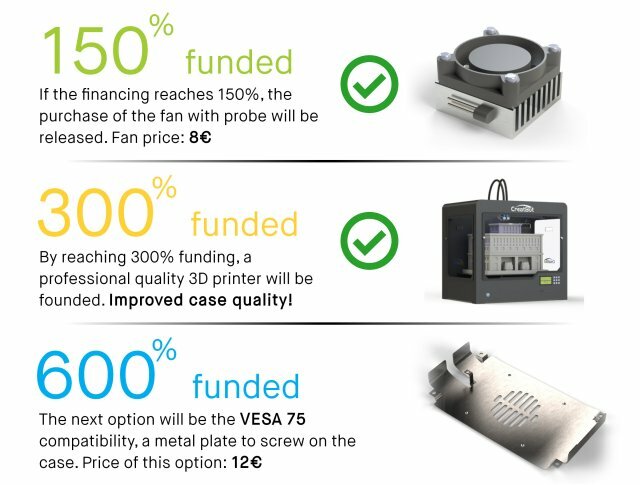 The funding will enable the manufacture of 20 to 50 units, with 3D printed cases and custom electronic boards. You have the possibility to print yourself the case, the STL and STEP files are available in gitlab.com website. It is now also possible to integrate the screen into the case you have designed, or even to use only the daughter board in your assembly ! 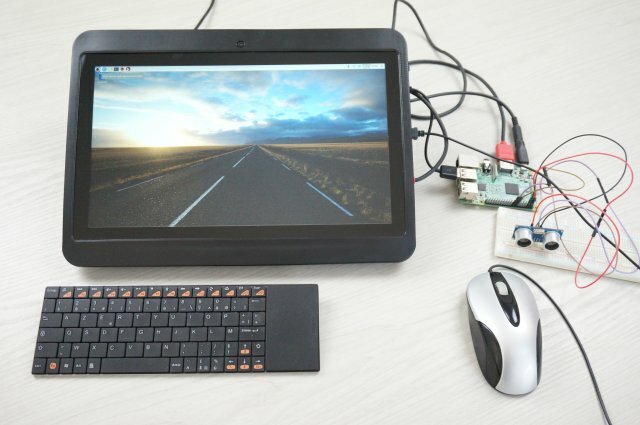 Diskio Pi is for makers who require a large touch display. Each copy will be unique, because YOU are the maker of your OWN machine. We just provide the material to make it. Diskio Pi is also the ultime machine to create your retro gaming console, with or without batteries. 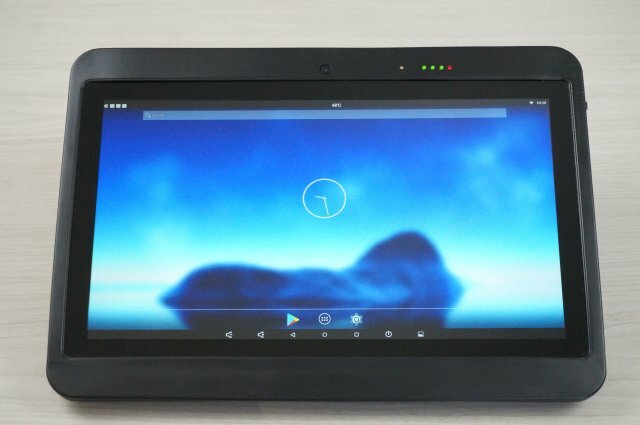 Diskio Pi is the ideal open solution that can serve as extra computer, learning code machine, or media center, to control your home automation, but also Diskio Pi can serve as living room tablet or to equip your vehicle. 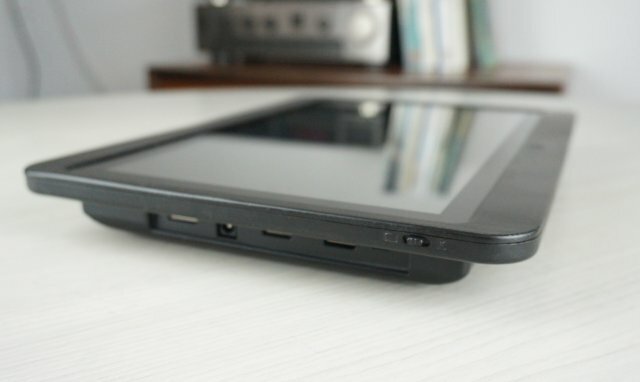 The device is equipped with a capacitive touch screen and a 13.3 inch HD screen. 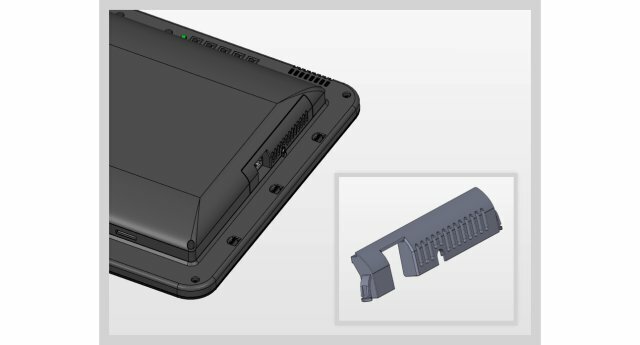 All-in-one case for SBC (Small Board Computer) with integrated stereo audio and touch interface, with possibility of a battery equipment.High definition & touch screen with HDMI and USB inputs to use the HUB. 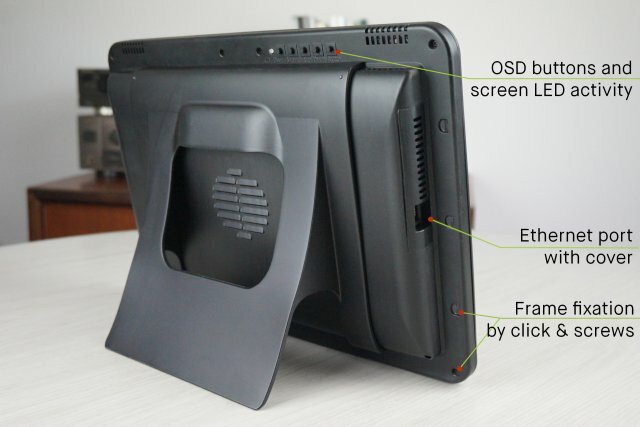 Diskio Pi can be used as a secondary display for your laptop, or even your video game console ! 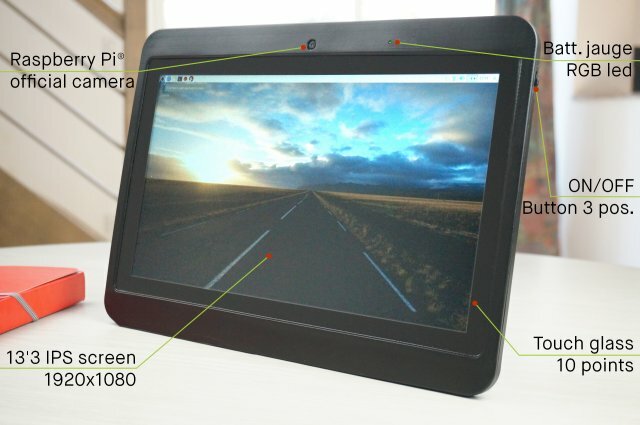 Compatible with the official Raspberry Pi camera (V2, 8MP), front or back position. 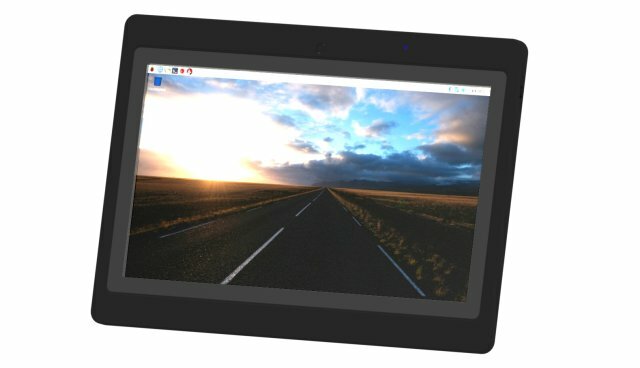 Each element has been designed to build your own tablet according to your desires, with an effective adaptation of your SBC board. Here is an example of configuration with a Odroid C2, 3 battery packs and the cooling solution, driven by the daughter board (board on the left). Diskio Pi has been designed to be as thin as possible, depending on the constraints imposed. When you look at the screen side, the thickness is no longer visible. 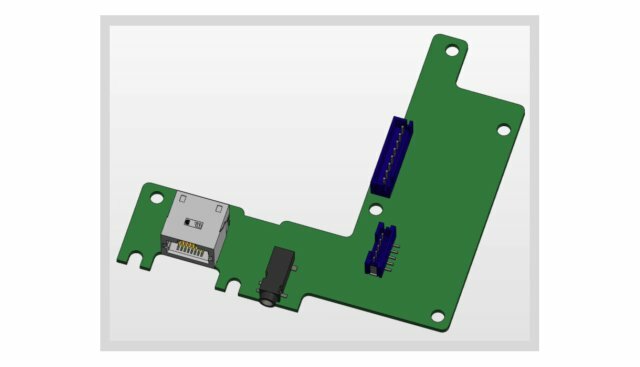 With the 3-position switch, you can use the device with an external HDMI source without uninstalling your internal SBC. 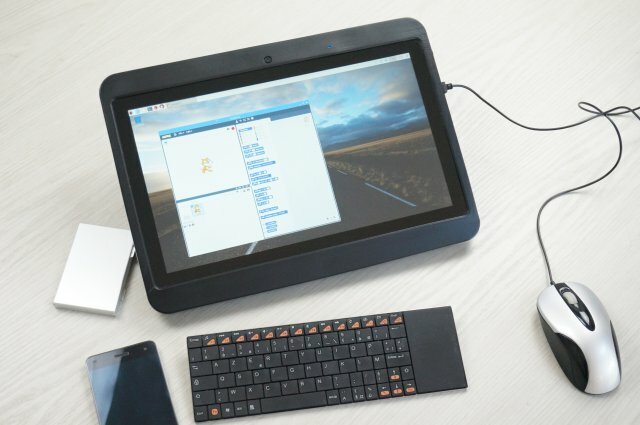 Diskio Pi was designed like a PC, but in a portable hybrid format ! 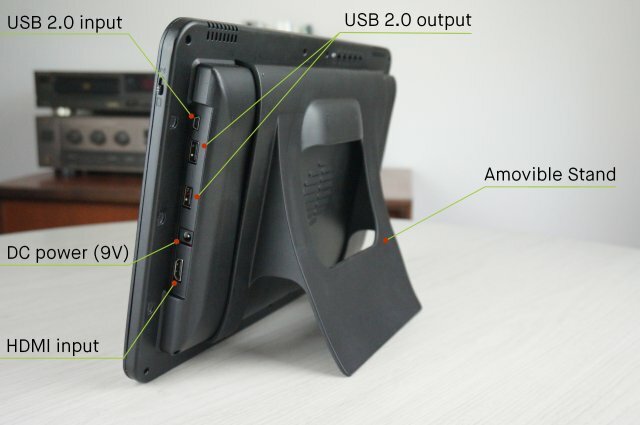 The SBC board is fixed on a plate, which is clipped into the tablet. Many different cables will ensure the compatibility of about ten types of boards. Clipsable & replaceable hat, to adapt new L boards. What's in the basic kit ? 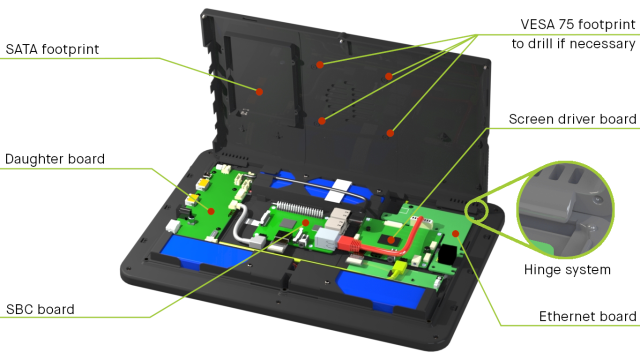 The basic kit contains all the parts to build your tablet, powered by cable. The case is 3D printed, and is delivered with this pack. 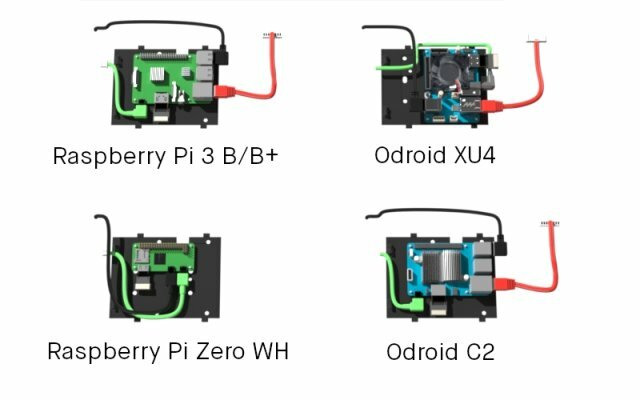 - Internal cables for : Raspberry Pi (1, 2, 3 B/B+ and Zero W, WH), Odroid C1+, C2, including Ethernet & HDMI internals cables. The "L" board, which is replaceable with new functionalities. For the first one, you'll find an Ethernet port and an audio sound jack. 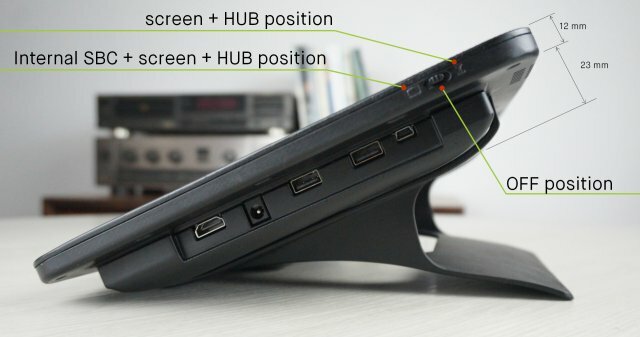 Using the internal USB HUB, you can plug a mouse, a keyboard, a large dongle... If you're using another board than Raspberry Zero, one native USB port is free to plug a flash drive. Internal GPIO access is also provided: a flat cable will be available in the Diskio Pi shop. Note that this access cannot be installed with the VESA option. GPIO access: a pre-cut hole is provided to adapt a flat cable. For external sound: to anticipate a future audio output, a connector will be present on the Lan board. The internal audio cable, which must be connected to the display board or directly to the Pi, will be sold separately on the Diskio Pi website. The basic version is the best choice for any DIY home automation installation. Encase the device in a wall, and only 12mm thikness is visible. Safe and discreet, as you need. For the final version, the design will be modified with more square corners and some adaptations due to the constraints of 3D printing. Given some fragile and small parts, the assembly must be done by an adult, or a child over 12 accompanied by an adult. 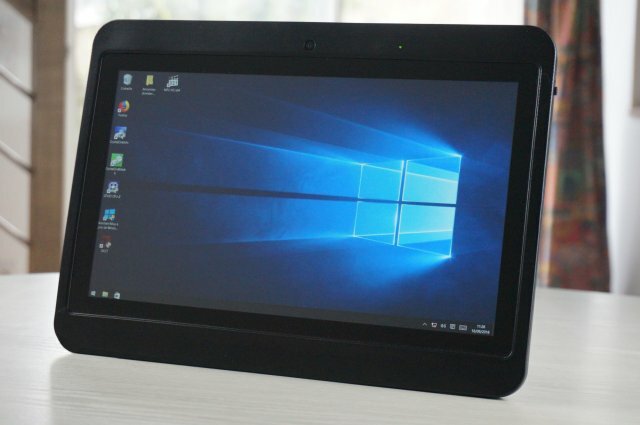 The external display function is compatible HDMI version 1.4. In the case you would like to adapt the UP Board, the original equipment UP fan is required. The general concept of the Diskio Pi project is to propose as many options as possible. Some are available now, others will be available only if the funding reaches a threshold. This option will allow you to make your Diskio Pi machine transportable. Battery packs are custom-made, and deliver a current of 7.4V. As the technology used is LiPo (lithium polymer), an internal electronic circuit is used to improve safety and prevent short circuits. This option, consisting of 3 packs (6 LiPo cells), is delivered with a gauge board. This gauge will operate with a micro-switch button and activate an RGB (multicolor) LED that will change color according to the charge level of the cells. As this map has not yet been developed, the funding will also be used to study this map. The capacity of each pack is 3500 mAh, so a total of 10500 mAh will be available to run the screen and a Raspberry Pi about 10 hours, or 8h30 hours in charge. The cooler is composed of a heatsink (25x25) with thermical pad, a fan, and the temperature sensor. You have just to place the cooler on the SoC and plug it at the daugther board. The cooler is recommanded if you want to use Diskio Pi with any Odroid board, or with the Raspberry Pi 3 B+. The 3D printer used: from a certain number of parts produced, it should be essential to equip the workshop with a reliable and fast machine. Investing 3000€ in a pro (or semi-pro) machine is therefore essential to obtain a guaranteed and satisfactory result. The VESA plate is compatible 75x75. This option is necessary for specifics configurations and uses. At work, for a public use... Or just to adapt your own VESA stand. Other options, like POE support, double SD card reader with external swich, or other specials boards will be also available in the future. If the number of sales is very high, we can also consider manufacturing injection moulded plastic parts, starting with the front frame. 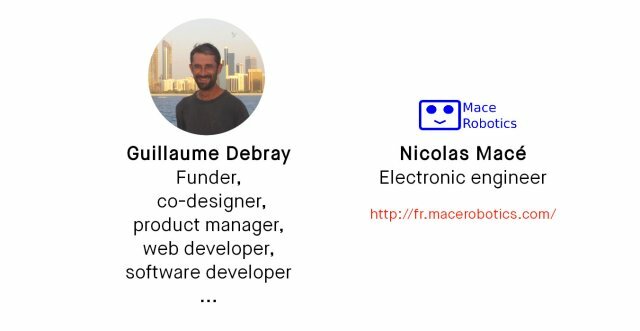 If the percentage of funding is reached and you want an additional option, it is possible to change the contribution to the one that includes the desired option (a news will inform you). At the end of the funding, a questionnaire will be sent to you to summarize your wishes according to the amount of your participation. Connections with the SBCs by cables: (USB, Ethernet, power, HDMI). "portable screen": HDMI internal flat cable. The garantee is 12 monthes for all the parts (except wrong handling). We change just the defective part. In the case of the screen, if the reference does not exist anymore, we replace it with a close reference and new compatibles brackets. The pledges are either complete devices (with or without batteries), or only the boards without the case. 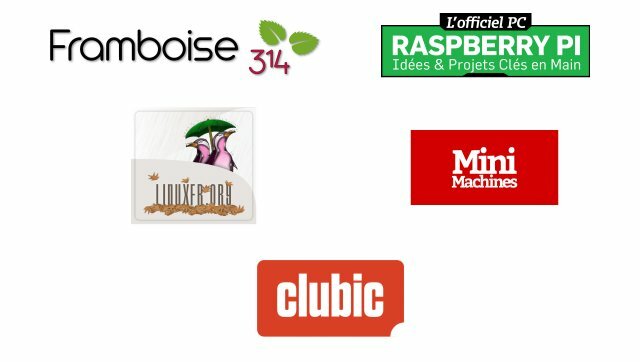 Users will be able to print their own shells, as the 3D files are available for free download on the GitLab website. The boards can also be adapted to a support other than the proposed design (wooden, polycarbonate..., free to the user to choose). 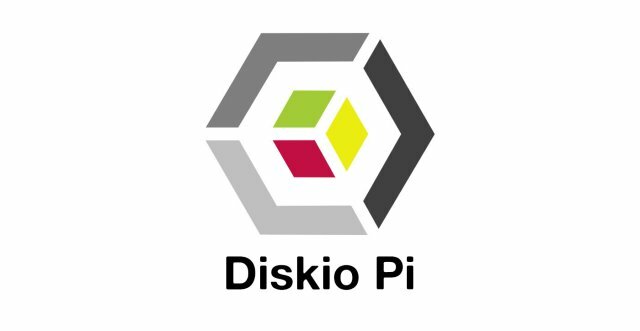 The ambition of the Diskio Pi project is to imagine a new way to take advantage of our digital datas, while having the greatest possible hardware flexibility. In addition, the ecological aspect will be soon the strong point of our proposition, because we must exploit our end of life devices in a better way than today. Our needs for rare earth are growing, and we must save natural resources. To do this, replacing what is necessary seems essential, in addition to recycling. We want to taking the lead proposing a new electronic consumption mode, more responsible and more respectful of the nature. Fan option. Award only available in duo with a Diskio Pi reward (49€ or more). A Diskio Pi sticker + 1x daughter board, with power/USB cables. The price includes delivery for France, a surcharge is required for other countries. A Diskio Pi sticker + 1x Diskio Pi version without shell, without battery. The price includes delivery for France, a surcharge is charged for other countries. 1x Diskio Pi without the case and battery (power supply provided + audio + video + all the cables). A Diskio Pi sticker + 1x Diskio Pi version without shell, with battery. 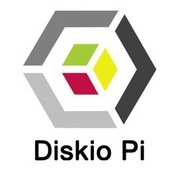 A Diskio Pi sticker + 1x Diskio Pi basic version. Printed shell included, without battery. A Diskio Pi sticker + 1x Diskio Pi complete, with battery and case printed in 3D. A Diskio Pi sticker + 1x Diskio Pi complete, with battery and case printed in 3D. Included, 8% special discount.